FoodWIse, formerly known as the Wisconsin Nutrition Education Program (WNEP) is a community nutrition education program within the Family Living Programs of the University of Wisconsin-Extension, Cooperative Extension. University of Wisconsin-Extension Family Living Programs respond to community needs with research-based education and partnerships that support Wisconsin families and communities. 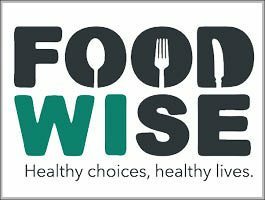 FoodWIse is a UW-Extension nutrition education program that helps limited resource families and individuals choose healthful diets, purchase and prepare healthful food and handle it safely, and become more food secure by spending their food dollars wisely. 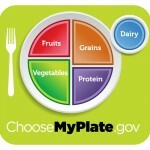 WNEP focuses on nutrition education based on the 2010 Dietary Guidelines for Americans, MyPyramid and Choose My Plate.gov. 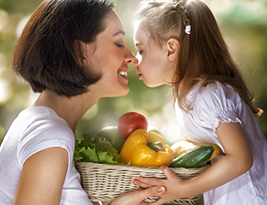 FoodWIse is a major educational program within UW-Extension Family Living Programs (FLP). The mission of FLP is stated as: UW-Extension Family Living Programs respond to community needs with research-based education and partnerships that support Wisconsin families and communities. The FoodWIse Program (formerly named Wisconsin Nutrition Education Program or WNEP) is primarily made up of two federally-funded nutrition education programs for low-income families and individuals—the Expanded Food and Nutrition Education Program (EFNEP) and Supplemental Nutrition Assistance Program( SNAP). The mission and mandate of FoodWIse is to develop and implement educational programs in Wisconsin that are consistent with and fulfill the goals and missions of EFNEP and SNAP. The Expanded Food and Nutrition Education Program (EFNEP) is designed to assist limited resource audiences in acquiring the knowledge, skills, attitudes, and changed-behavior necessary for nutritionally sound diets, and to contribute to their personal development and the improvement of the total family diet and nutritional well-being. The goal of Supplemental Nutrition Assistance Program (SNAP) is to provide educational programs that increase, within a limited budget, the likelihood of all food stamp recipients making healthy food choices and choosing active lifestyles consistent with the most recent advice reflected in the Dietary Guidelines for Americans and the Food Guide Pyramid. Visit Choose My Plate for more information.